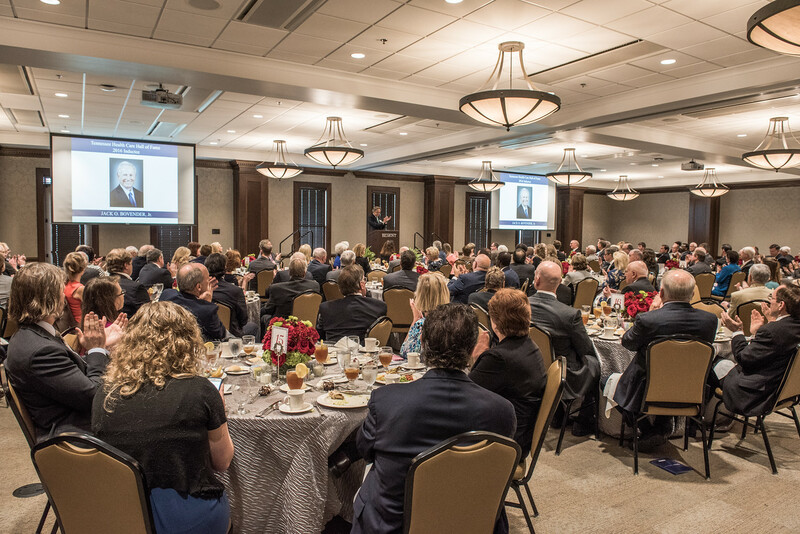 The Tennessee Health Care Hall of Fame announced the six health care professionals selected as the Hall of Fame’s second class of inductees at a luncheon held on Belmont University’s campus Tuesday. With a mission to honor men and women who have made significant and lasting contributions to the health and health care industries, the Hall of Fame was created by Belmont University and the McWhorter Society and is supported by the Nashville Health Care Council, a Hall of Fame Founding Partner. Among the more than 35 highly qualified candidates nominated, the inductees were reviewed by a Selection Committee made up of health and health care leaders from across the state. Selected inductees represent some of Tennessee’s greatest health and health care pioneers, leaders and innovators. In addition to recognizing Tennessee’s most influential health and health care leaders, The Hall of Fame will serve as an on-going educational resource to document the rich history that has contributed to Tennessee’s position as a leader for national health care initiatives. Created in 2015, the Hall of Fame inducted eight inaugural members last year including Dr. Thomas Frist, Jr., Dr. Thomas Frist, Sr., Dr. Ernest Goodpasture, Jack C. Massey, R. Clayton McWhorter, Dr. David Satcher, Dr. Mildred Stahlman and Danny Thomas.